You might enter into the blogging arena thinking that your on-site blog will provide an easy means of connecting with new followers and adding value for current customers. After all, you’re an expert in your field and you’re passionate about your profession. What could be easier than waxing poetic about the industry you love? What you will learn rather quickly is that there’s a lot more to blogging than simply writing down random thoughts. The days of weblogs as little more than glorified journals are long gone. If you want to use this tool for the betterment of your business, you need to approach building and maintaining your blog with the same responsible attitude and attention to detail you devote to every other aspect of running your professional empire. While coming up with quality content is certainly a top priority for most business bloggers, you’ll find that the timing of your posts is nearly as important. 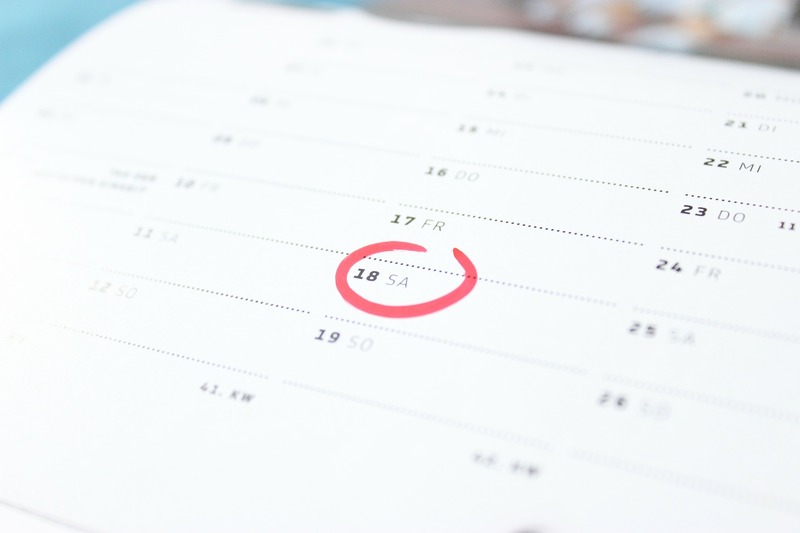 You need to take the time to create a schedule for blog posts that corresponds to your business calendar, overlapping with other planned events throughout the year. This schedule must also account for the times when posting is most likely to help you accomplish your goals. When is the best time to publish your blog posts? Here are a few tips to help you determine the schedule that is right for you. There have been countless studies conducted on the topic of when to publish posts for blogs and social media platforms. As it turns out, the best time to post may differ by medium and what you hope to accomplish. That said, having a general understanding of when people are most likely to look at your blog will definitely help you to determine the best days to post, which is especially important if you only have time to put together a handful of blog posts each week. It should come as no surprise that people tend to have more leisure time on the weekends. Equally important is that many bloggers also take weekends off, leaving their readers with little new content to peruse during the time when they’re most likely to be looking. You can capitalize on this situation by publishing your posts as the weekend approaches and/or on weekend days. Friday, Saturday, and Sunday are the days you’re likely to see an uptick in visitors to your website, so you might want to start posting on Thursday in anticipation of an increase in site visits. Whether you’re publishing blog posts daily or only a few times each week, it also pays to think about the timing of your posts. Numerous studies have shown that the times people are most likely to look at blogs and social media are lunchtime and after work. Again, not too surprising. The best times to post, then, tend to be around noon and six o’clock in the evening. You should also consider a posting schedule based on Eastern Standard Time (EST) to ensure that your posts are available at peak viewing times across the country. If social media sharing is part of your plan for gaining exposure for blog posts (and it should be), studies show that certain social media platforms have different peak times for click-through rate (CTR). For example, Twitter tends to see the most click-through on Wednesdays, whereas there is generally more CTR through Facebook on Thursday and Friday. For LinkedIn, the most click-through seems to take place on Tuesday. There may not seem to be any rhyme or reason to these days, but statistics don’t like. Plus, they’re not all so arbitrary. For example, B2B Twitter conversions tend to be more prominent during the workweek. In any case, you can use this information to coincide blog posts and social media notifications for optimal timing and conversions. Automating the publishing process can be extremely helpful, whether you’re simply laying out a calendar or you need to automate uploads because you live on the west coast and you want to publish early in the morning EST. There are plenty of tools that can help you here. If you use WordPress, then EditFlow and CoSchedule are two programs that could really help you to manage your calendar. You can also use peripherals like HootSuite and Buffer to schedule your social media posts. With the right tools at your disposal, organizing your schedule and automating the publishing process can be easy. Changing seasons, holidays, and other notable dates can provide you with a prime opportunity to post topical content on your blog. You just have to know when to post such articles for optimal impact. Creating your content calendar can help you determine proper timing where seasonal content is concerned, but your best bet is generally to begin posting no earlier than a month prior to the season or holiday in question. In some cases, you can continue posting after holidays if you have follow-up content, but generally speaking, readers are likely to get seasonal or holiday fatigue within a few weeks, so don’t over-capitalize. There’s a lot to be said for knowing your audience, and this includes tracking and analyzing traffic patterns to spot trends. Despite the many studies you can read and the statistics they cite about the best times to publish posts for blogs and social media, your audience is bound to have its own quirks. Tracking user activity on your blog and social media accounts can give you invaluable insights into the patterns your particular audience exhibits. Over time, this information will be far more useful than knowing how the majority of bloggers publish their posts for maximum impact. Are you interested in keeping your current readership happy? Are you looking to increase CTR and conversions? Do you want content to go viral? As you know, coming up with blog titles and creating relevant content is a good way to reach your goals, but the timing of your posts can have a major impact, as well. Staying up-to-date with studies on the best times to post can give you the information you need to reach specific goals, but you also have to factor in the inclinations of your audience. Knowing your goals, however, is a good place to start when researching how best to arrange your schedule for publishing blog posts.